Boston Blackie succumbs to temptation and aids Mary Dawson, a professional thief, to rob valuable gold pieces that belong to Jim Franklin, the rat that sent her father to Sing Sing prison. 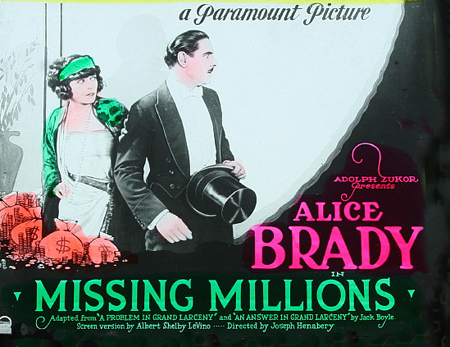 Based on the Short Story: "A Problem in Grand Larceny"
Boston Blackie, a reformed criminal, is hired by society thief Mary Dawson to square accounts with Jim Franklin who sent her innocent father, Thomas Dawson, to Sing Sing prison. Franklin, a financier, violated a promise to drop his charges of theft against Dawson. Blackie and Mary team up to ruin the scoundrel financially. They steal some gold being shipped to Franklin to satisfy his creditors. However, Daniel Regan, the ship's purser who unwittingly aided Mary in her theft, is arrested and accused of the crime. 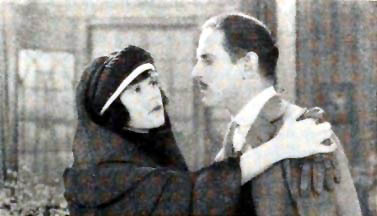 Mary and Boston Blackie return the gold in order to clear Regan. However, before the gold is returned, and to avoid scandal, Jim Franklin commits suicide. Alice Brady has a star on the Walk of Fame in the Motion Pictures Category, Star Rank 1299. The address is 6217 Hollywood Blvd, between Vista Del Mar and Argyle, north side, GPS 34.10157,-118.324995. David Powell has a star on the Walk of Fame in the Motion Pictures Category, Star Rank 2190. The address is 1689 Vine Street, between Hollywood and Selma, west side, GPS 34.101317,-118.326825.